“Sócrates? That's a footballer's name, is it?" It was an autumnal day in 1975 and Arildo Paris, a chauffeur employed by Botafogo de Ribeirão Preto, a smallish football club from the interior of São Paulo State, drove onto the campus of his city’s medical school. Outside the front of the main entrance he saw the lanky, scruffy young man he had been sent to collect, cigarette in hand, waiting patiently, as if he had not a care in the world. It was something Arildo had grown accustomed to. 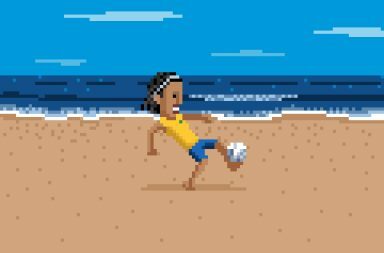 He was regularly sent to the same pick-up point in search of that same young man, a fourth year student at the university and Botafogo’s rising star player. “Sócrates,” Arildo shouted, “put out that cigarette and get in the car.” They needed to hurry. It was matchday, with Botafogo due to take on the mighty Corinthians, and between them and the Pacaembu Stadium in the state capital lay a 350 km, four hour drive. With almost exactly four hours until kick-off there was little time to waste. The rest of the squad had gone on ahead but Sócrates, at the behest of his demanding father, had to prioritise his medical studies. Games were of secondary importance and the club had to be flexible to his needs. He often missed training, something he cared little for anyway, and would regularly turn up to games long after the other players. Despite Arildo’s best efforts, with his foot to the floor all the way down the motorway, this game was a particularly close call. Just fifteen minutes before kick-off the car pulled up in front of the magnificent art-deco facade of the Pacaembu. One of Botafogo’s coaches had agreed to wait for Sócrates outside the stadium until half an hour before the start of the game but had already given up hope and gone inside. Sócrates would have to find his own way in. 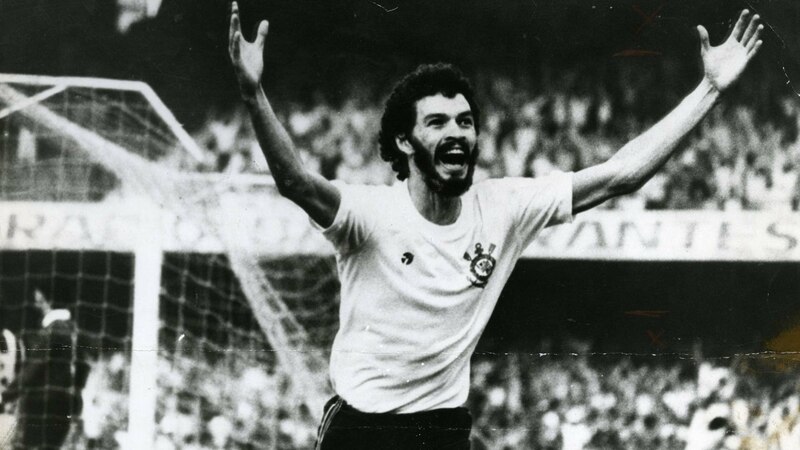 Still dressed in his white medical attire and clutching a doctor’s bag, Sócrates jumped out of the car and fought his way through the crowds towards the turnstiles. He bought a ticket and once inside the stadium asked the nearest person where he could find the away dressing room. They pointed to the stand at the other end of the pitch and he ran around to see if he could get in. As he sprinted up to the gate that separated the players’ tunnel from the public he decided it would be best if he just told the truth to the officious-looking security guard. The security guard flicked an incredulous glance his way. This gangly, sweaty, breathless young boy, with unkempt hair, dressed in medical overalls and ridiculous white shoes was telling him that he was about to play for Botafogo de Ribeirão Preto in a game against one of Brazil’s biggest clubs? “Alright, mate.” Said the doorman. There could only be one option. 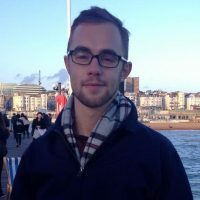 The poor lad was having a psychotic episode and had escaped from the psychiatric hospital just a few hundred metres up the road. Fortunately, just as the desperate young man was about to be carried away in a straight jacket, João da Silva Neto, Botafogo’s masseuse, walked out of the tunnel to have one last look for their peripatetic midfielder. 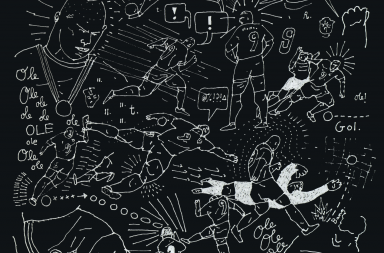 The confrontation resolved, Sócrates quickly pulled on his kit and his boots in the entrance to the tunnel before, still flustered and discombobulated from his ordeal, running straight onto the pitch in front of the 33,021 people who had paid to see their beloved Corinthians that evening. 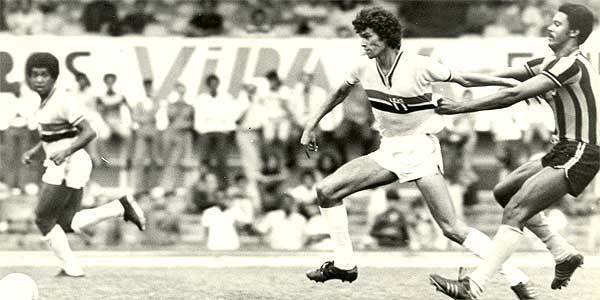 The game ended 4-1 to the home side but Sócrates was, as usual, by far Botafogo’s outstanding player, scoring his side’s only goal. This tale is a snapshot indicative of the man’s idiosyncracies. A qualified doctor, an alcoholic who smoked 30-a-day, a philosopher and political activist, and a footballer who hated training; Sócrates was the face of a generation of Brazilians. Three years after that game he would move to Corinthians, where he became a club legend, winning three Campeonato Paulista titles and leading the Corinthians Democracy movement in protest against Brazil’s military dictatorship. 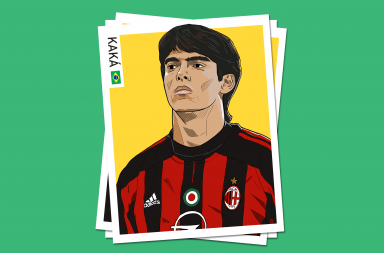 He would also lead his country to the 1982 World Cup and take in spells with Fiorentina, Flamengo and Santos before retiring from football to become a doctor in his native Riberão Preto. Sócrates’ life was one lived to the fullest, replete with riveting tales both on and off the pitch. 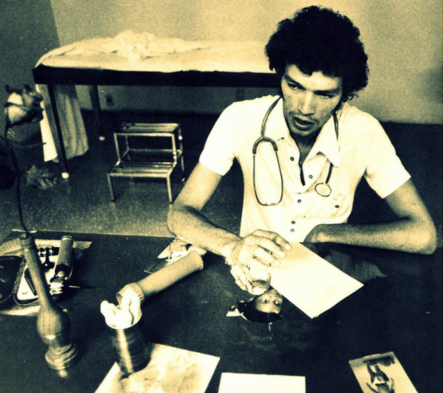 If you would like to read more about him and his extraordinary story there is a new biography out, entitled Doctor Sócrates: Footballer, Philosopher, Legend.